Discussion in 'Released' started by zadum4ivii, Jul 15, 2017. Do you like our project in it's current state? Antiaris is a new project from part of team which made Tremor Mod. We decided to stop developing of Tremor Mod and make a completely new project. Content in Antiaris will be more interesting, balanced and unique, unlike in Tremor, since we decided to go with "Quality > Quantity". Our team will try to make the game bigger, make the player feel more interested in game. Check the thread everyday for more information & spoilers! Don't forget to join our Discord server! Put this code into your signature to add an awesome banner by @DarkTiny into it! Antiaris can be downloaded via tModLoader's Mod Browser. Alternatively, you can download the mod from here and install it manually. If you have any ideas - feel free to share them in comments! esdead, Proxima404, Doge✧(ﾉ◕ヮ◕)ﾉ *:･ﾟ and 95 others like this. Sir AFK, FlyKip and Mairek like this. 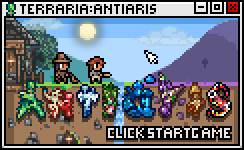 Content in Antiaris will be more interesting, balanced and unique, unlike in Tremor, since we decided that "Quality > Quantity". Even you can't download Antiaris right now, you can still see what the mod already has. Don't forget to check the thread for spoilers if you don't want to miss anything! Sir AFK, KittyKitCatCat and zadum4ivii like this. I'm glad you guys are going for quality over quantity since that was my issue with tremor. Good luck on the mod! Austrian Chill, Jerryhh, aatrospeed and 6 others like this. Hope this mod will not be like Tremor after 1.3 update!! The first thing we made - is change of the beginning of the game. 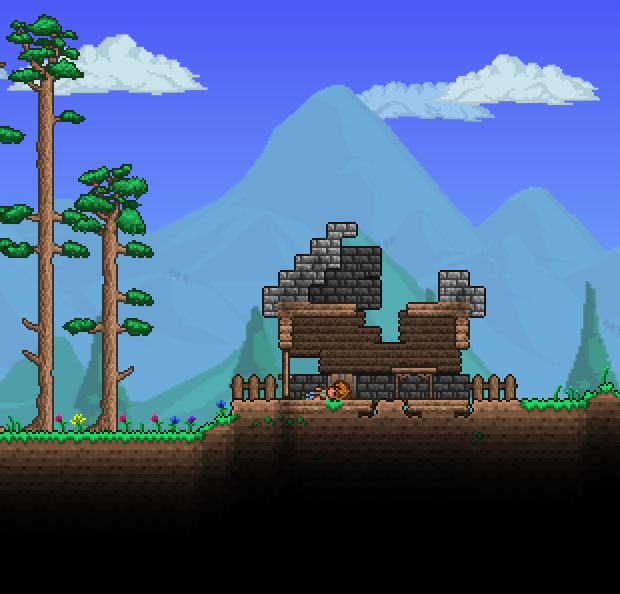 Now, when player creates a world - a destroyed house will generate near player's spawn with a unconscious Guide in it. If you talk to him - he will wake up and tell you a bit about his story that will lead to more adventures! The chest in Guide's house also contains some stuff that can be useful for progressing. TerrarianWan, Marney, DankySkeleton and 6 others like this. Is this mod will add more after ML content? Any chance that 1 or 2 things from tremor will be ported over, either way can't wait for 1.0 release. Also will there be new music. There will be no content from Tremor. I don't think there will be music too. ah well. anyway, good job on your decision, not many developers would be willing to give up their work. high hopes for the new mod. Austrian Chill, aatrospeed and zadum4ivii like this. Notes are a new little mechanic we've addded. When used, it will show the message in interface like NPCs chats. We've made it a bit realistic - the player will hold the note like shown on the screenshot until you close the Note via ESC button. 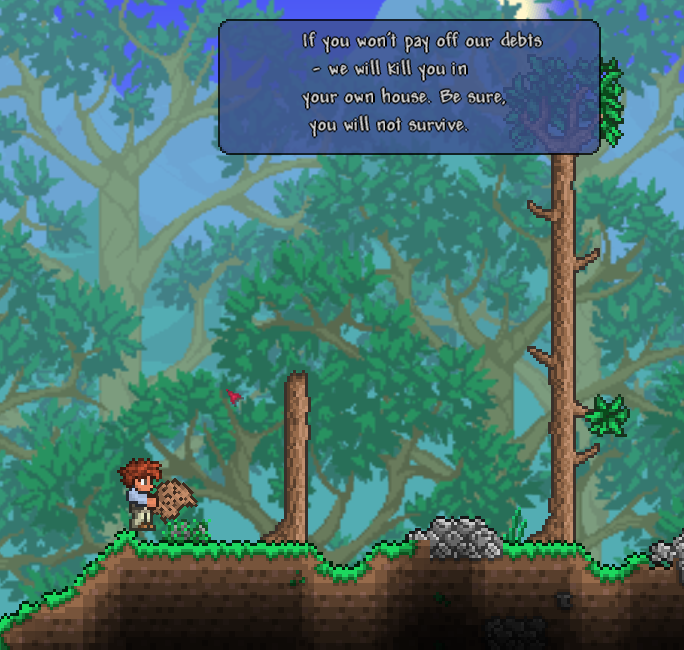 Btw, this Note is found in chest in Guide's House. DankySkeleton, Alakere.rani, Vladimier and 2 others like this. So, are the notes given to you by the game, or crafted by you to have fun with friends? This mod has a lot of potential, by the way! Hella hyped for this, glad to see the team is still holding strong and learning from the past. Wow! Looks amazing! I'm hyped for more! GoldenTrapper and Valkyrie Valhalla like this. I've added latest spoilers to the OP, so you don't have to check through all thread to find the spoilers. Wow I like where this mod is going, it's adding more of a story that you have to follow until the end of the game.